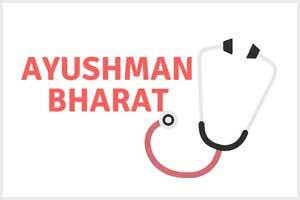 New Delhi: Through a written reply answer to the question in Rajya Sabha The Minister of State (Health and Family Welfare), Sh Ashwini Kumar Choubey informed about the Pricing of Ayushman Bharat Scheme. The minister informed about the treatment packages and the package rates for providing Rs 5 lakh health coverage to beneficiaries under the Ayushman Bharat – National Health Protection Mission (AB-NHPM), have been finalized by a Committee of Experts headed by Director General of Health Services, Ministry of Health and Family Welfare, after extensive consultations with all the stakeholders. As such the health coverage, as well as the package rates under AB-NMPM, are affordable. Why to increase, every hospital will treat free of cost ( LOL) and die in few years. Some of the procedures are there with which the rate provided is just INR 100. The procedure includes new surgical blades, local anesthesia, syringes,doctor\’s time ,skill, supporting staff ,dressings for that procedure, and sterilization room , importantly maintain 10 to 20 records for it. ; then claim for it make rounds around the Govt offices for years to get that money . And the hospitals have to maintain all the NON SENS regulations with very high cost. What about the seniority of the staff? Anybody have brains think about it? Does PM really look insight of these things? Just Happy to blame doctors and few incidents.